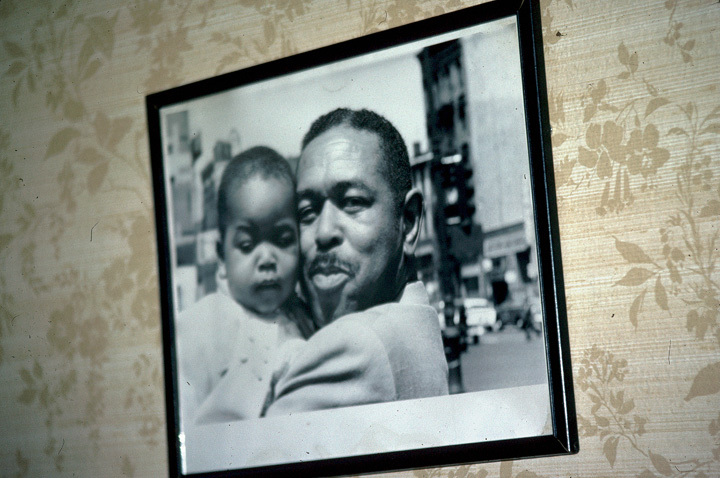 Walter "Brownie" McGhee hailed from Knoxville, Tennessee. When McGhee was 5 years of age, he was stricken by poliomyelitis. Although he walked with crutches and a cane for some time, his recovery was nearly a complete success; the only lingering visible effect of the illness was that he walked with a limp throughout his life. His father, George Duffield McGhee, was a skilled guitarist and singer. The senior McGhee often teamed up with his brother-in-law, John Evans, a fiddler, to play for local dances and parties. When Brownie was 7 years of age, Evans built him a five-string banjo as his first instrument. Within a year, McGhee also began learning to play the piano and the guitar. He recalled his father’s telling him never to strum the guitar, but to pick it as he did, using his bare fingers: "My daddy forbade me to play with a straight pick, and he was absolutely against me playing with a slide." Following his father's directive, McGhee developed his own style, characterized by picking patterns and syncopated melodies played over a thumb-picked bass. "My thumb is another hand," he explained. "My father always told me something should be happening on the guitar all the time.... I was 14 or 15 before anybody knew I could play the guitar. But my daddy knew I was foolin' with his guitar, because I'd get it out of tune." 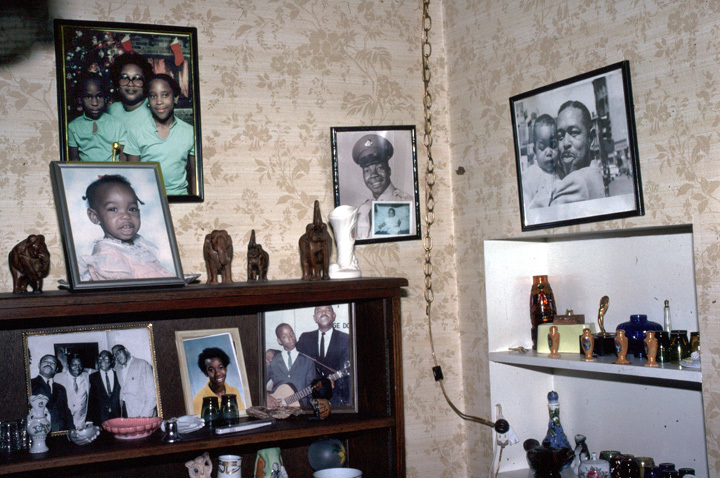 McGhee's family moved several times while he was growing up. He attended elementary school in Lenoir City, and while there he sometimes played the organ at the Solomon Temple Baptist Church. Later, he sang in the choir at the Sanctified Baptist Church. A few years later, the family relocated to Marysville, Tennessee, where McGhee started high school, but during the summer after his freshman year he quit to become an itinerant musician. He entertained at resorts in the Smoky Mountains, then earned a living traveling throughout Tennessee playing and singing, working with the Hagg Carnival and in medicine and minstrel shows. 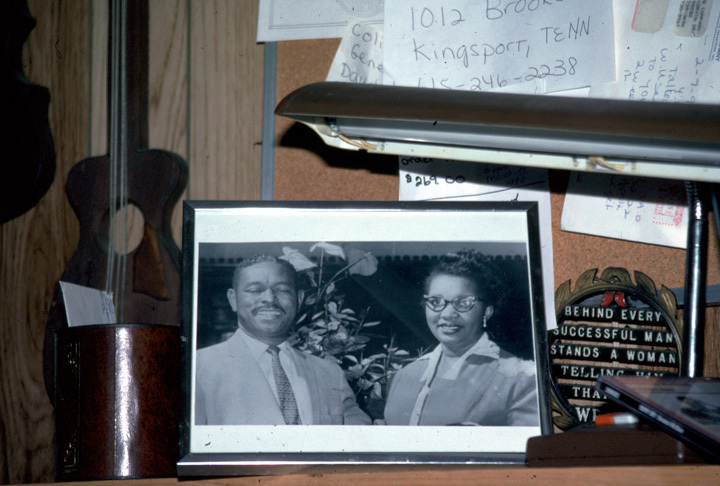 In the early 1930s, McGhee rejoined his family on their farm in Kingsport. He stayed there for a few years helping with farmwork and singing in his spare time with The Golden Voices, a gospel quartet. As pressures of the Depression began to ease, he moved back to Knoxville, and over the next few years he formed a series of small bands to play at local affairs in and around the city. In 1937, McGhee took advantage of a March of Dimes program to have an operation on his foot to reduce or eliminate his dependency on crutches and the cane. He was in the hospital for nine months. While there, he made up his mind to walk without a crutch. "I just wanted to pick up my guitar and start walking. And that's just what I did." After staying in Knoxville a few years, he started traveling again. He made his way through North Carolina as a street performer, and in Winston-Salem he teamed up with harmonica player Jordan Webb. Then he moved on to Burlington, where he met George "Oh Red" Washington, a friend of Webb's. Washington suggested that the musicians go on to Durham to play for OKeh Records talent scout J. B. Long. Long was impressed with McGhee and set up his first recording date in Chicago in 1940. 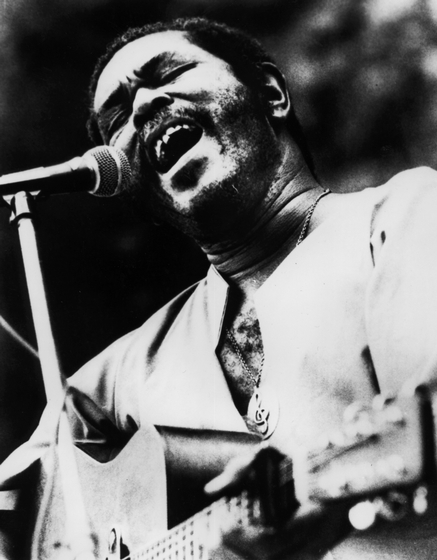 McGhee recorded first with Webb, and later with harmonica player Saunders Terrell, better known as Sonny Terry, after Terry's previous music partner, Blind Boy Fuller, died. Long sought to capitalize on the popular "Fuller-Terry" sound by placing McGhee and Terry together. This partnership proved very successful, and in the early 1940s McGhee moved to New York, where Terry lived, and the pair quickly became popular in local nightclubs and coffeehouses and at folk concerts. 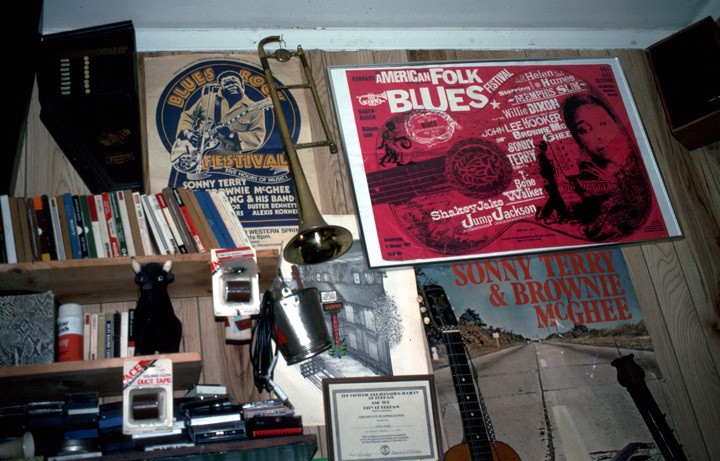 In 1942, McGhee opened the Home of the Blues Music School in New York, where he taught young musicians the intricacies of fingerpicked blues guitar. He operated the school until 1950, but also continued his recording career. In 1944, McGhee had signed with Savoy Records, and the following year with Alert. During World War II, he performed with Woody Guthrie and Terry on the Office of War Information (OWI) radio shows broadcast by the BBC in London, and he also appeared in short wartime films produced by OWI. In 1947, McGhee performed on the soundtrack for the motion picture The Roosevelt Story. Around this time he also began writing his own compositions. Among his better-known songs are his recordings of "Sportin' Life" (Alert) and "My Fault" (Savoy). He said, "'Sportin' Life' was based on the last letter I got from my mother. My sister went and told her what kind of life I was living, and she sent me a message that said, 'I want you to change your ways.'" Throughout the 1950s and into the 1960s, McGhee and Terry recorded for several other labels. McGhee sometimes performed under one of several pseudonyms, including Spider Sam, Big Tom Collins, Henry Johnson and Blind Boy Williams. In addition to touring with Terry and recording, McGhee appeared in Broadway shows, such as Finian's Rainbow, Tennessee Williams's Cat on a Hot Tin Roof and Langston Hughes' Simply Heaven. Also during this period, he fronted a band called the Mighty Rockers that played in clubs and at house parties in New York and New Jersey. In the 1960s McGhee and Terry were featured on many major network television shows and several folk music special programs. They also toured with Harry Belafonte. McGhee's busy and diverse performing schedule continued into the 1970s. He recorded the soundtrack for the film Buck and the Preacher and appeared in two French films, Blues Under the Skin and Out of the Blacks and Into the Blues. 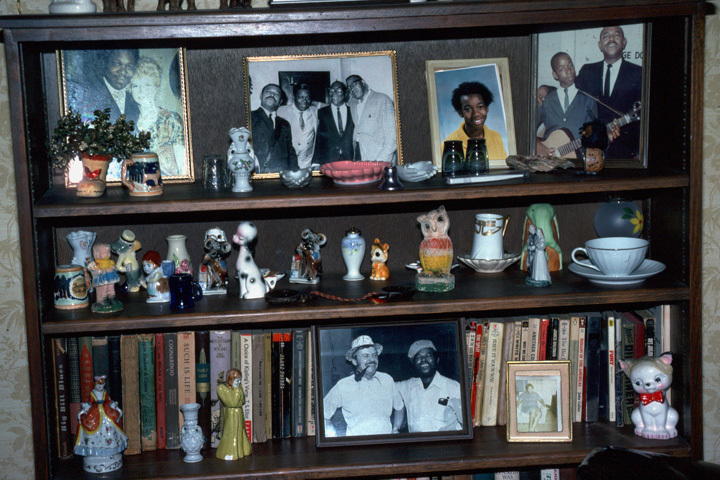 In the early 1970s, McGhee moved to California, where he built his own home in 1974 in Oakland. He continued to perform across the United States and abroad until his death. "Died: Walter Brown McGhee." Jet, April 1, 1996, 89, 20: 64. Govenar, Alan. Untold Glory: African Americans in Pursuit of Freedom, Opportunity, and Achievement. (New York: Harlem ____________. African American Frontiers: Slave Narratives and Oral Histories. (Santa Barbara, California: ABC-CLIO, 2000.) Guitar Styles of Brownie McGhee. (New York: Music Sales Corporation, 1997.) Himes, Geoffrey. 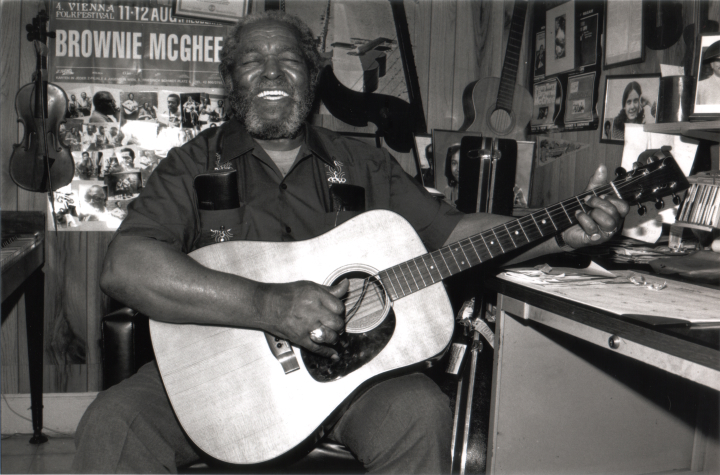 "Brownie McGhee 1915-1996." Rolling Stone, April 4, 1996, 731: 39. "Last Licks." People, March 5, 1996, 45, 9: 62. Pareles, Jon. 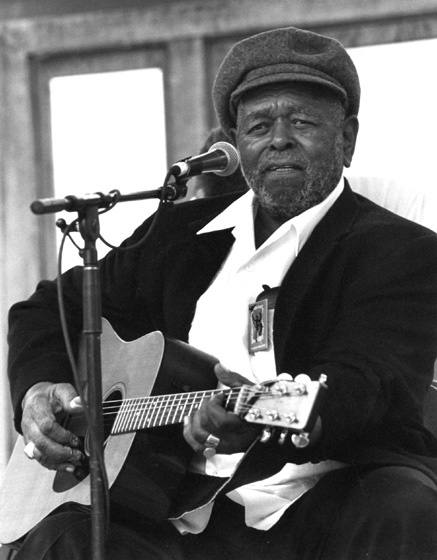 "Brownie McGhee, 80, Early Piedmont Bluesman." New York Times, February 19, 1996, B5. McGhee, Brownie. 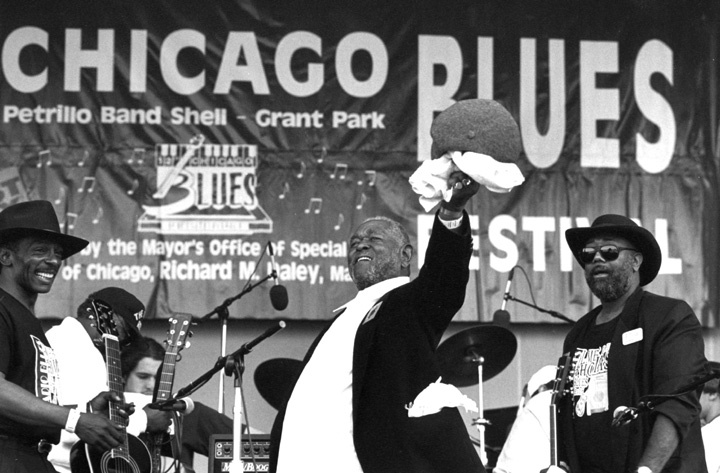 Born with the Blues 1966-1992. Vestapol VEST 13060. ______. Brownie Speaks. Paris-Album 28513. ______. Sings the Blues. Smithsonian Folkways 3557. ______. Traditional Blues, Vol. I. Smithsonian Folkways 2421. ______. Traditional Blues, Vol. II. Smithsonian Folkways 2422, 1960. McGhee, Brownie, and Sonny Terry. Brownie McGhee and Sonny Terry Sing. Smithsonian Folkways 40011. ______. The Folkways Years, 1945-1959. Smithsonian Folkways 40034. Dimensions of Black. Videotape, 59 minutes. Produced by KPBS, San Diego, California: PBS Video.